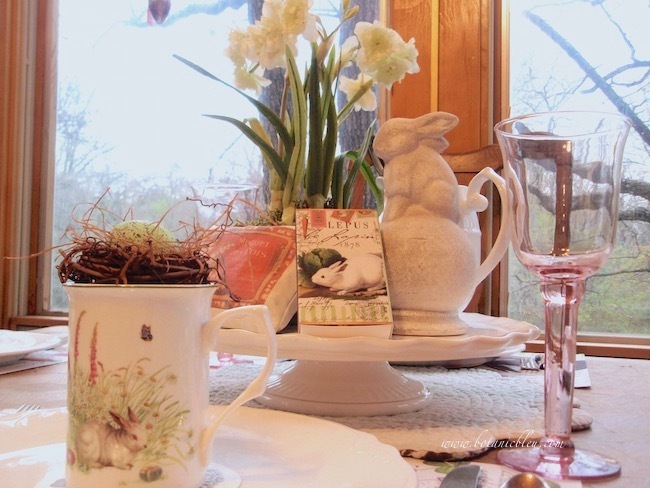 Fresh new promises of green leaves outside the windows are a welcome backdrop to the table filled with Spring inside. 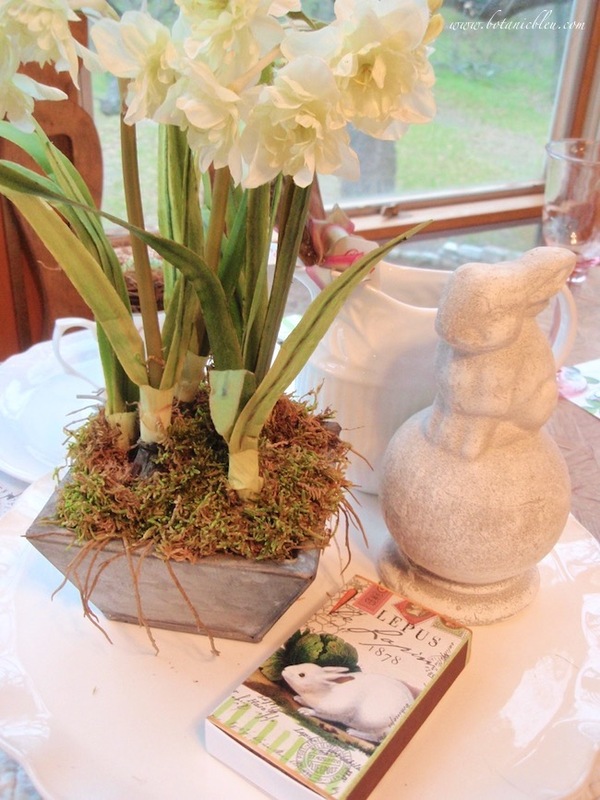 Le lapin centerpiece begins with potted jonquils, a couple of lapins, and a white pitcher with forks from a French flea market in Paris. 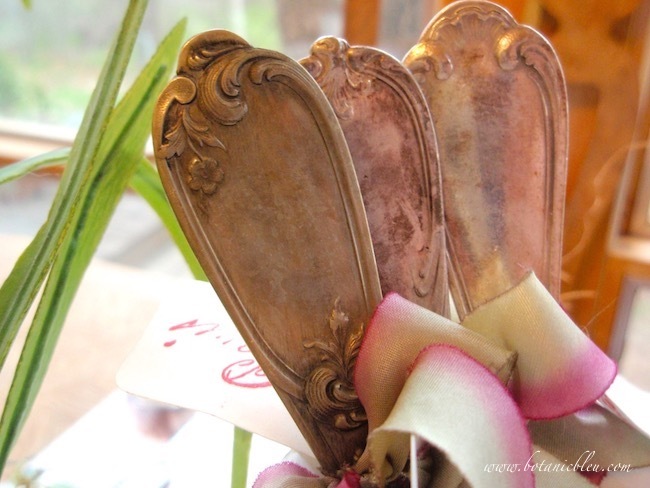 The forks left unpolished have a worn elegance enhanced with the patina that reflects their origins in a Paris flea market. 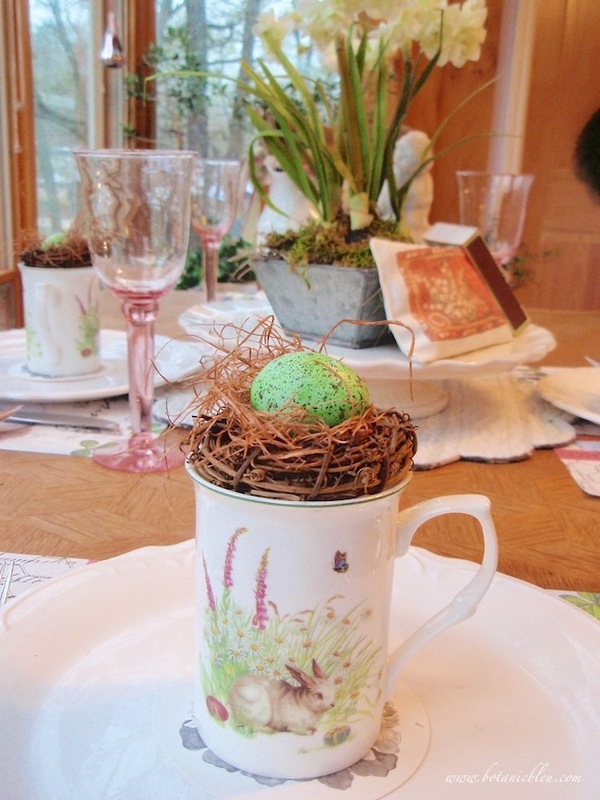 As Spring progresses through the months, the basic centerpiece of jonquils and le lapins changes by adding a lapin mug filled with a homemade bird's nest holding a fresh Spring green egg. 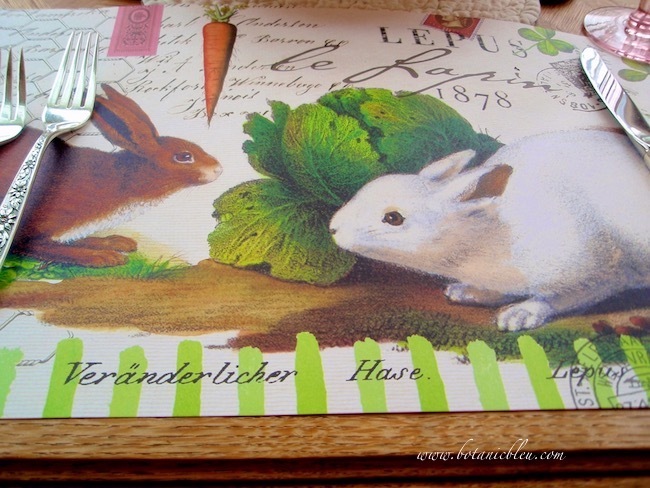 The paper placemats with their lapins remain in place for the entire March through May table settings. 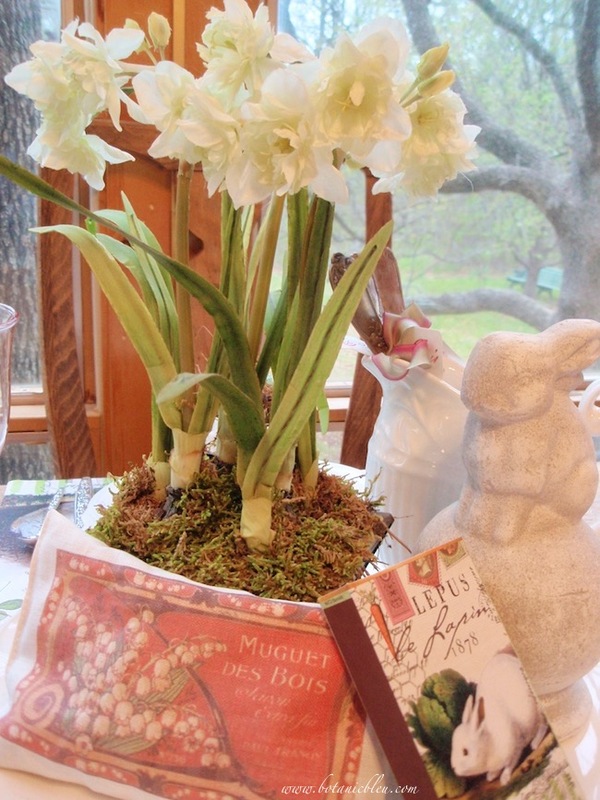 Carrots and cabbages are reminders of Spring gardens and are food for French lapins. 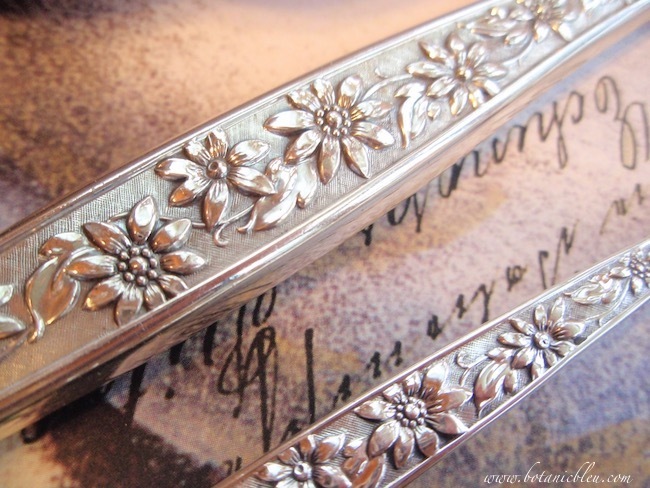 Meadow Song by Towle, modern sterling silver flatware, has a detailed floral pattern perfect for Spring tables. 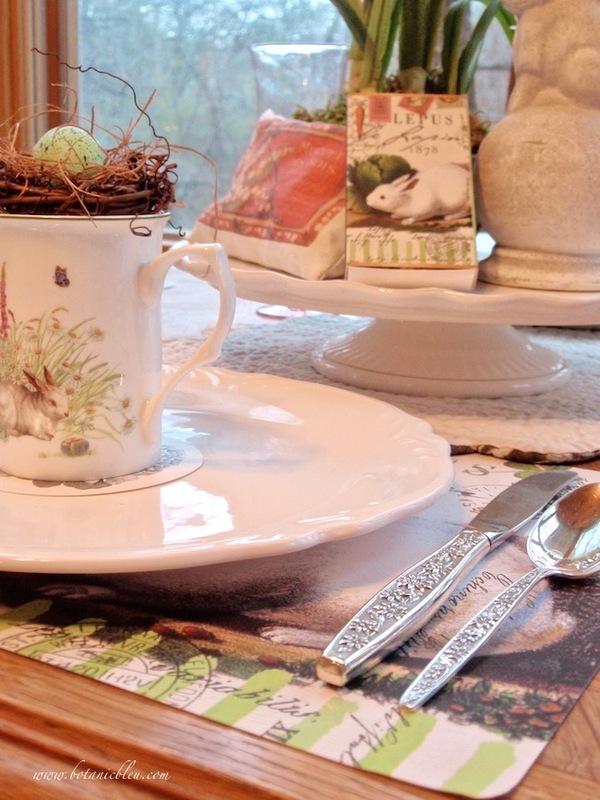 French script on the paper placemats adds to the beauty of the flatware. 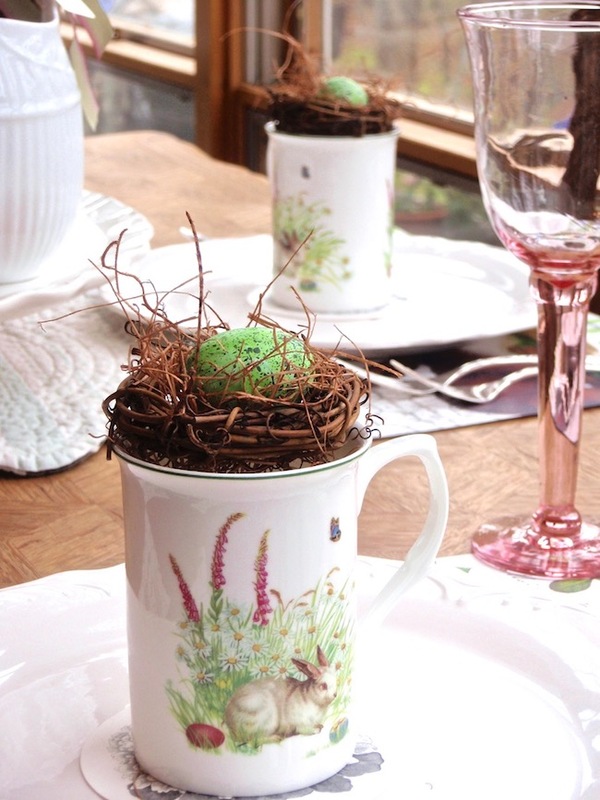 Bird's nests in the mugs, with a bunny in a floral meadow design, add a touch of Easter to Spring tables. 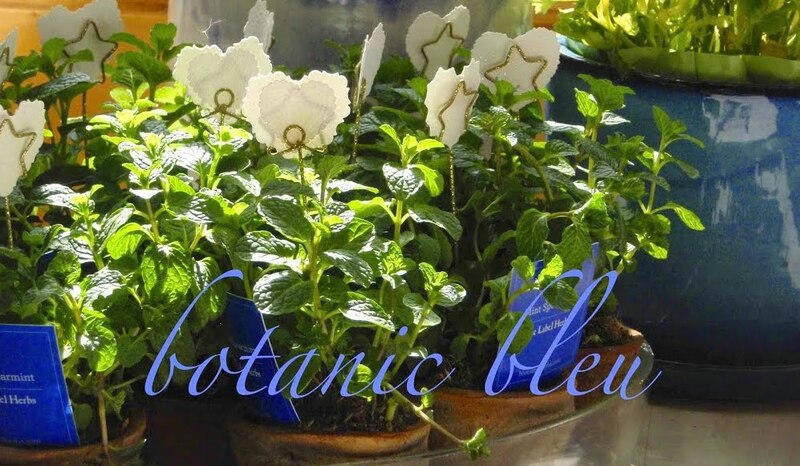 One at each place dresses up the white plates. 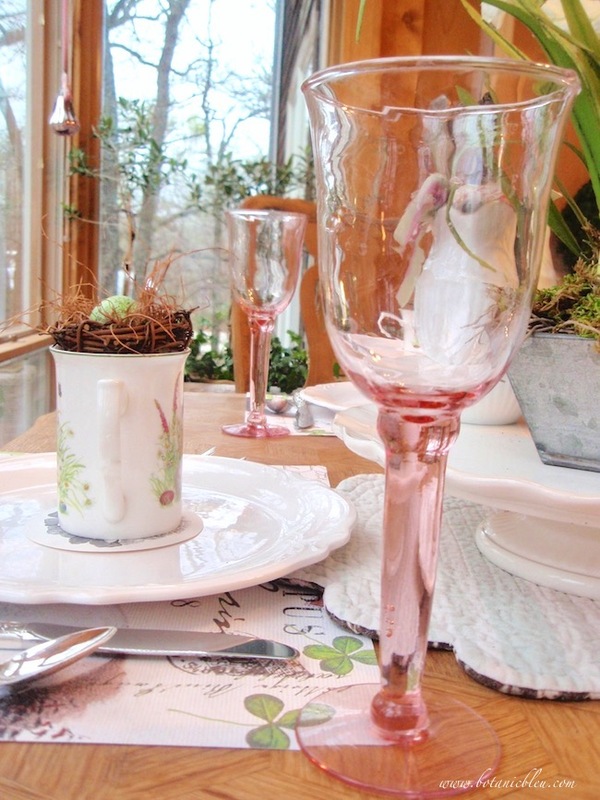 Long-stemmed pink glasses coordinate with the touches of pink flowers in the mugs. 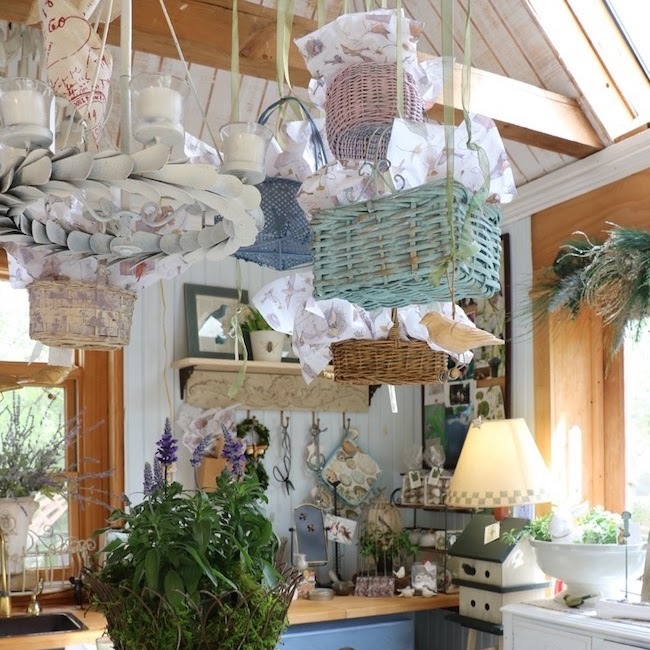 A lavender-filled sachet with French script takes the French le lapin Spring table into May and gives another French touch to the table. 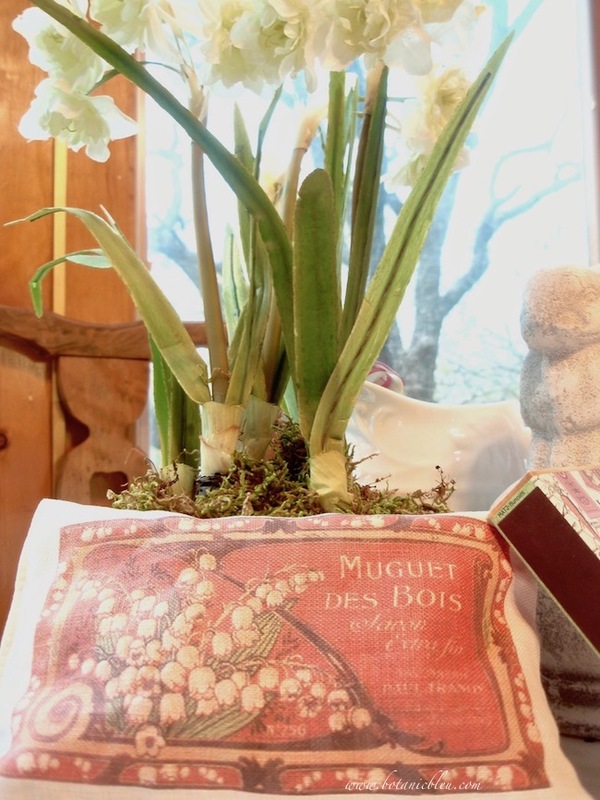 May 1st is May Day and is celebrated in France with offering Muguet des Bois (lily of the valley) to loved ones. 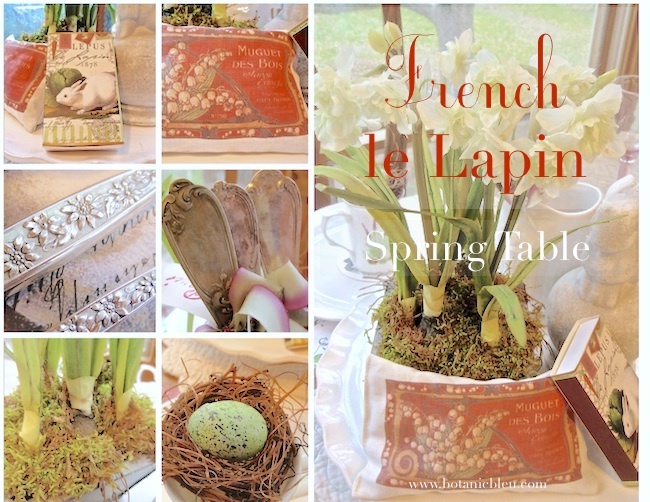 With just a few changes the French le lapin Spring Table goes from March through May. 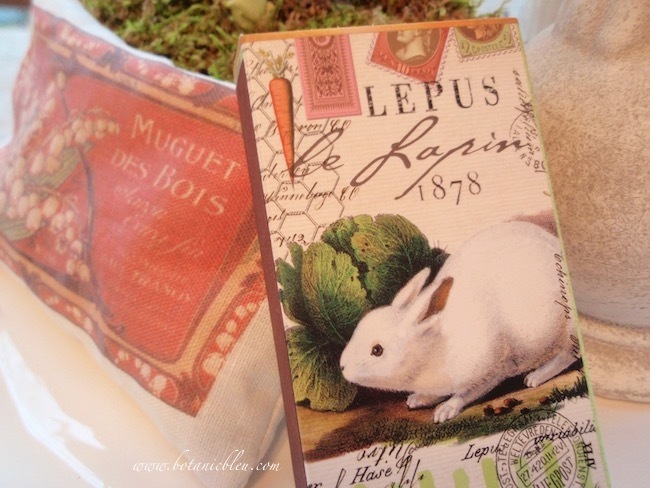 Love the lapins! 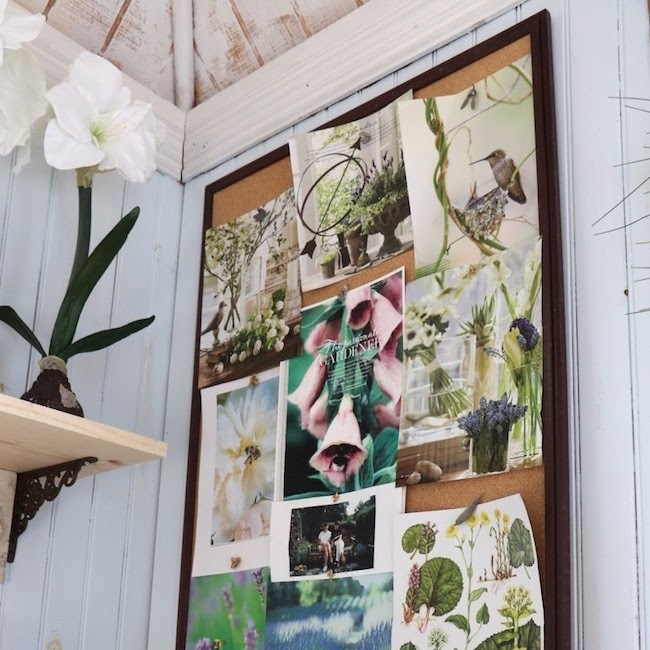 Such a welcoming vignette. 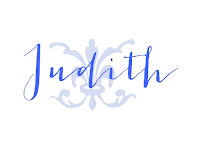 Judith, it's lovely in each and every detail. 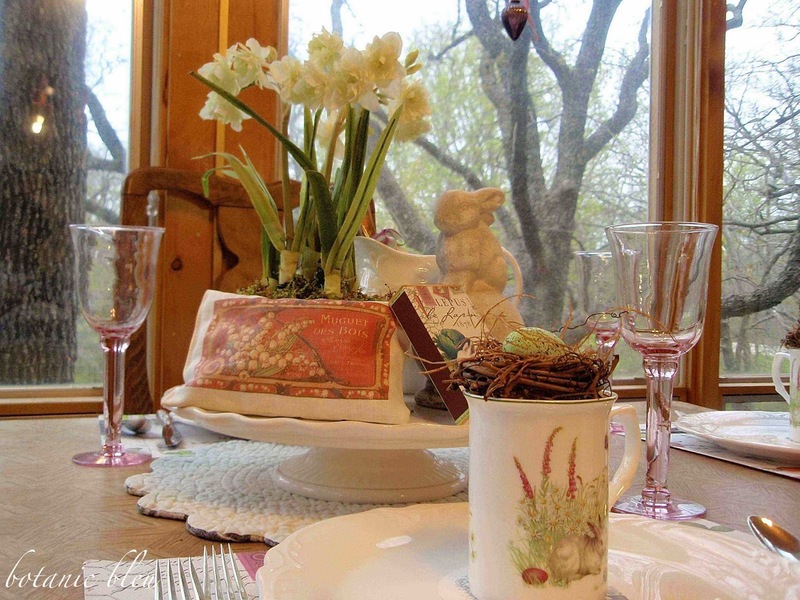 I love to dine at this table March through May! 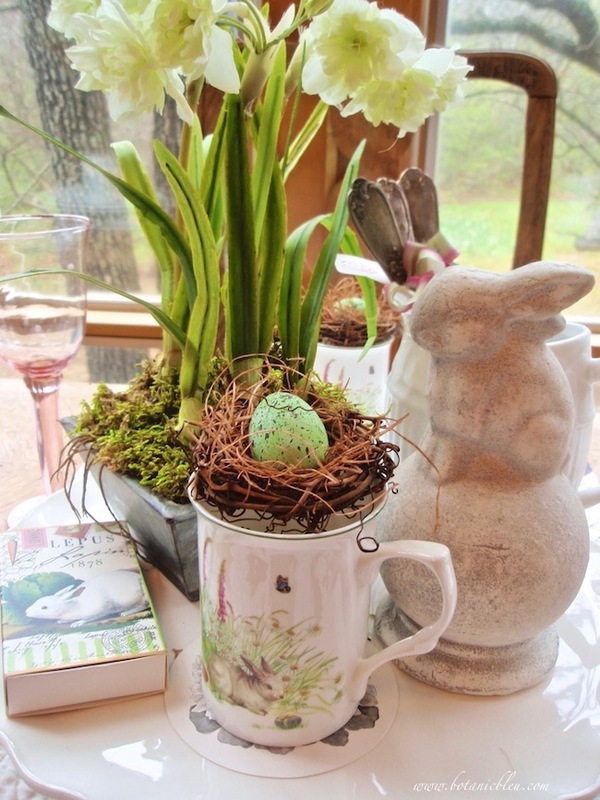 You didn't mention the source for the sweet bunny on the sphere finial. 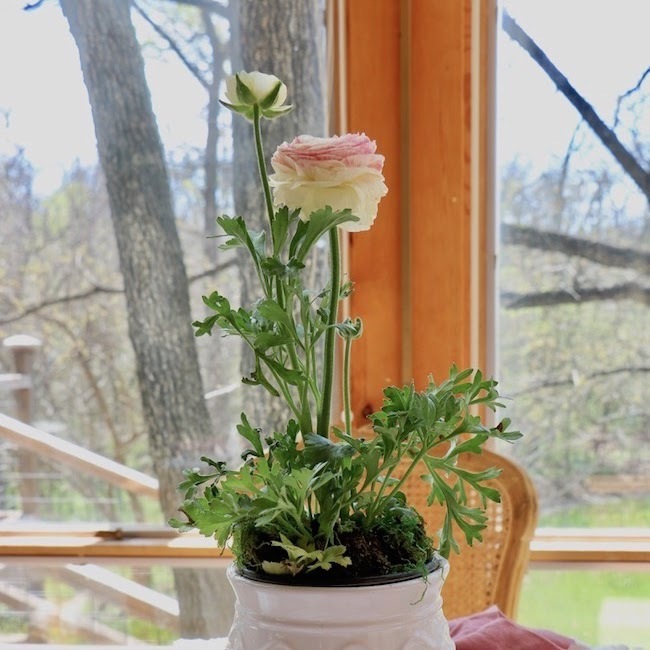 I'm smitten with this piece. 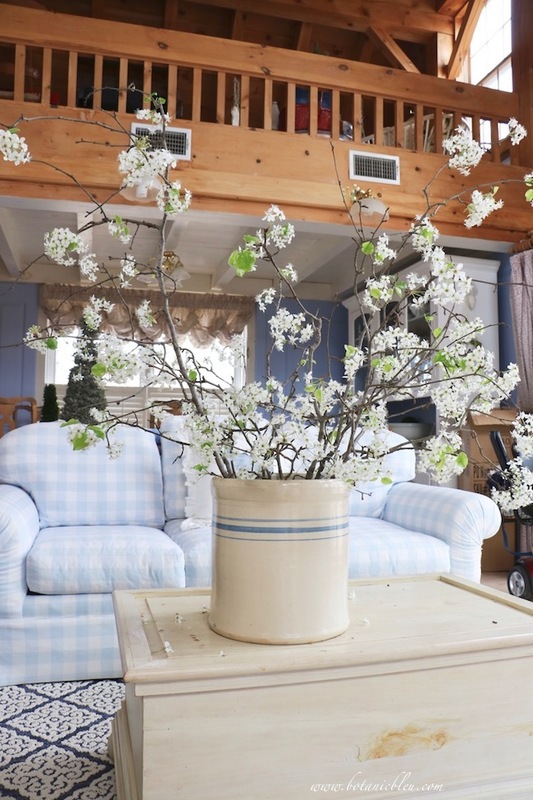 What a lovely table. You take beautiful pictures. 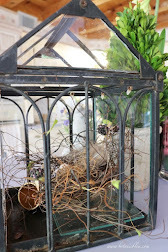 I love the picture capturing the patina of the forks.